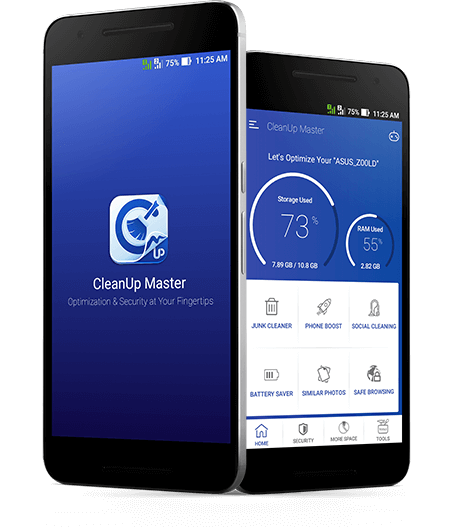 CleanUp Master is a master cleaner app to clean your device and enhance its overall performance. A must try for all the android users! CleanUp Master is a full optimization and security suite for your android device. It cleans all the junk files such as app cache, system cache, APK files, temp files, etc. present on your device and allows you to browse securely. It boosts your device’s speed and enhances its battery life by killing the unnecessary apps running in the background. It also acts as a game booster which greatly improves your gaming experience. CleanUp Master - What’s All in There? CleanUp Master works as a WhatsApp Cleaner, Facebook Cleaner, and Twitter Cleaner by cleaning all the media saved through these platforms. This feature allows you to do private browsing on the internet without leaving your browsing history, cookies, etc. CleanUp Master is one the best android cleaner apps which not only keeps your device clean and secure but also improves your device’s performance and enhances its battery life. CleanUp Master is a powerful android tool with its terrific features such as Large Files (which detects large files occupying most of the storage space), App Organizer (which manages all the installed apps), App Addiction (which lets you know how much addicted you are to the apps installed on your device), and CPU Cooler (which reduces CPU usage and lowers down the CPU temperature).